PALO ALTO, Calif., Oct. 15, 2018 /PRNewswire/ -- In the near future, some of Blockchain's limitations may be solved by a new platform that will utilize a breakthrough system to make transactions on the Blockchain faster, more environmentally friendly, and less expensive, while also making token utilization more transparent. Cryptic Labs, a leading commercial research lab focused on solving fundamental security problems to advance the growth of blockchain technology, today announced that it would work with Fractal Platform to provide rigorous economic modeling and bespoke research related to Fractal's proof-of-stake (PoS) consensus algorithm. Their novel approach is capable of processing 10,000 transactions per second, much more than most current Blockchains support, while also offering future-proof security, increased decentralization, and multiple layers of transparency—while still using less power and resources than existing solutions. "Fractal is dedicated to providing a high performance and energy-efficient blockchain platform, and supporting a wide variety of decentralized applications," said Weifeng Feng, Fractal Platform CEO. "Our protocol has already been proven secure against cryptographic attacks, but partnering with Cryptic Labs will allow us to better study the economic aspects of our protocol as well. The partnership also places Fractal in a unique position to research and then solve future challenges in the Blockchain space as they arise," Feng added. Cryptic Labs approaches Blockchain research differently from many other accelerators. Cryptic Labs does not invest in its partner companies, but instead provides them with access to world-renowned advisors, like Turing-award winner Dr. Whitfield Diffie, to help them review, refine, test, and demonstrate their technologies. "We are a unique commercial research lab in that we offer access to some of the most incisive minds in cryptography, cybersecurity, economics, distributed computing, and game theory to help solve problems faced by Blockchain companies," said Humphrey Polanen, co-founder and Managing Director of Cryptic Labs. "We are very selective about which companies we advise. We believe the team at Fractal Platform has developed a groundbreaking innovation in the Blockchain space." Fractal Platform will initially utilize Cryptic Labs' experts to test and refine their token-incentive model, which relies on a new and more transparent mechanism for rewarding miners who certify transactions, as well as to help the Fractal Platform team refine their algorithm as they begin deploying it. The Fractal Platform builds on the Ethereum model, but utilizes a different mechanism for building trust – one that the company believes will satisfy not only current security requirements but also protect their protocol against possible future attacks from quantum computers. "To provide secure, tamperproof platforms and survive the test of time, Blockchain systems need to be carefully designed with security in mind at every step. They need to be provably secure not only against current attacks but also potential future attacks including those by a quantum computer," added Jonathan Katz, Fractal Platform's Chief Scientist and Professor of Computer Science at the University of Maryland. "The Fractal Platform supports high throughput and fast finality with provable security for large-scale networks," said Stewart Raphael, Cryptic Labs' Chief Technologist. "And yet their algorithm consumes much less energy than current technologies. Plus, their Proof of Stake algorithm is reliable and transparent. Together, these advances will increase adoption by distributed-application users looking to utilize the Blockchain. We are excited to help Fractal Platform with their economic modeling and ecosystem strategy." The Fractal Platform is a truly scalable, secure, and sustainable public ledger and cryptocurrency project. It is based on years of efforts by a group of experts in Blockchain technologies, cryptography, and game theory. The underlying consensus algorithm is simple, offers high throughput and post-quantum security, and has been backed by rigorous security proofs. 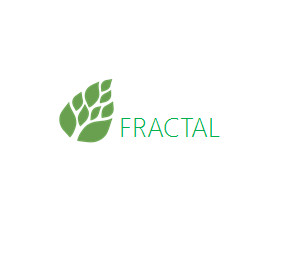 For more information on the Fractal Platform protocol, visit https://FractalBlock.com. Cryptic Labs is an innovative commercial research lab primarily focused on solving fundamental problems in security and economics to advance the viability and growth of Blockchain. They function as a unique research advisory with expertise in security, privacy and economics, offering collaboration on research, talent acquisition and mentorship for companies. For more information, visit crypticlabs.org.